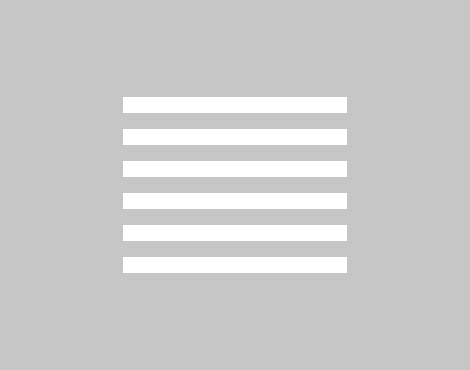 Yesterday, I shared my marinated feta and olive recipe that I prefer to pair with pinot noir. Today, I’m sharing these little goat cheese appetizers that I love with a chilled glass of sauvignon blanc or even a rose wine. You guys know I love an easy recipe, especially an appetizer that feels well thought out but is still easy to keep in your back pocket. Most of the time, I have these ingredients in the house. I’m constantly using goat cheese in an appetizer situation so I typically have it on hand. And aren’t they pretty?! Especially when you’ve got that swirl down! I also really love a pop of green on this dish with the pistachios! 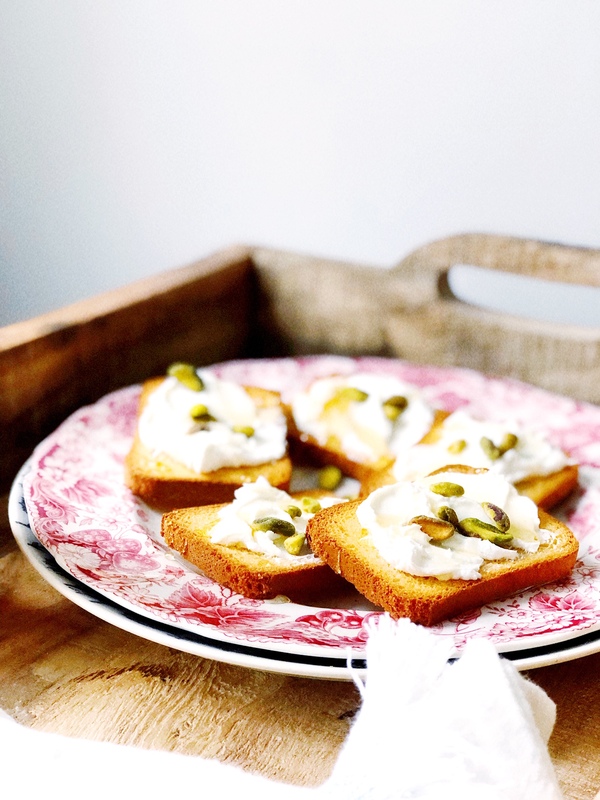 The pistachios are an important part of this appetizer recipe; they really balance the sweetness of the honey and the tanginess of the goat cheese. 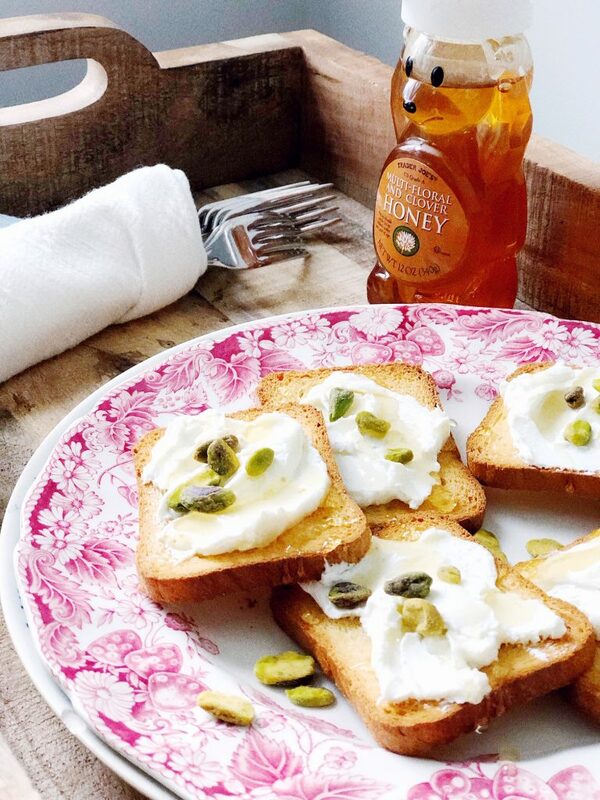 For this go, I used a standard honey, but I think you could totally shake this up, depending on what wine you are serving, to have spicy honey. Wouldnt spicy honey be so good?! For the toasts, I used Trader Joe’s brioche crackers, which hold up really nicely to a knife spreading the goat cheese. You can do a thinner cracker, for sure, but just make sure your goat cheese is very whipped so it spreads easily without much force. How else would you change these up? I would love to hear more ideas! 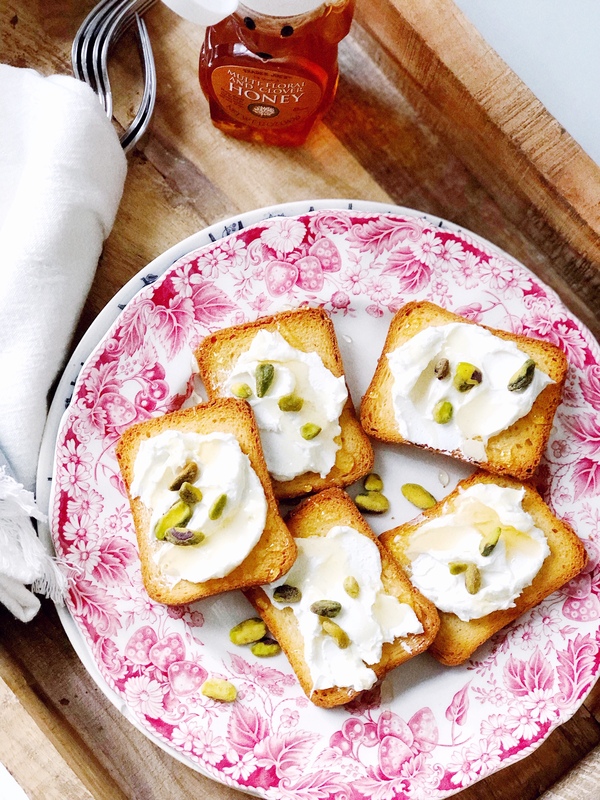 These are a perfect treat for a white or rose wine, with a little sweetness from honey that balances the savory of the pistachio and the tanginess of the goat cheese. 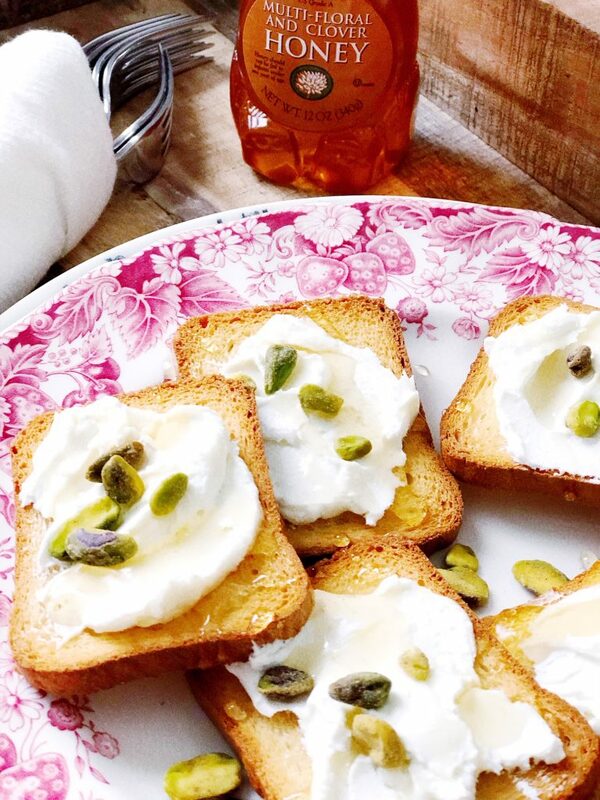 Use a batch of my whipped goat cheese, see notes for instructions, spread the cheese gently on the toasts/crackers. 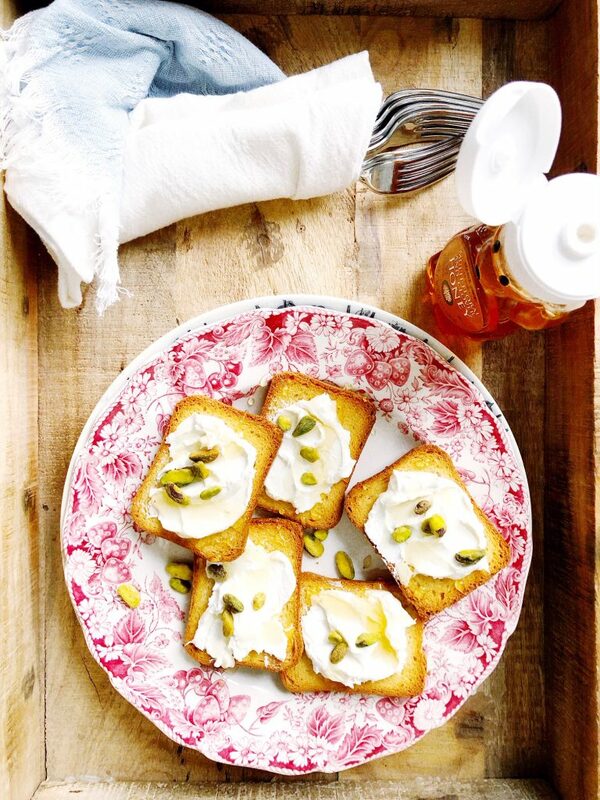 Top with pistachios and honey. The whipped goat cheese is so easy and just requires 1 extra step. Your goat cheese will need to be room temperature prior to spreading. You can use more or less of the ingredients to make as much or as little as you want!